With the Evo tournament starting this weekend, it seems a better time than ever to check out a fighting game. Or at least that’s what my editor keeps telling me, something about “easy views” and being relevant or something. So I took what budget was left after hosting expenses and went off to find a fighting game. Unfortunately, $3 was not quite enough to get a copy of Marvel vs. Capcom 2. Luckily, I was eventually able to find a game more in my price range. Hopefully it scratches that itch for a fighting game classic. 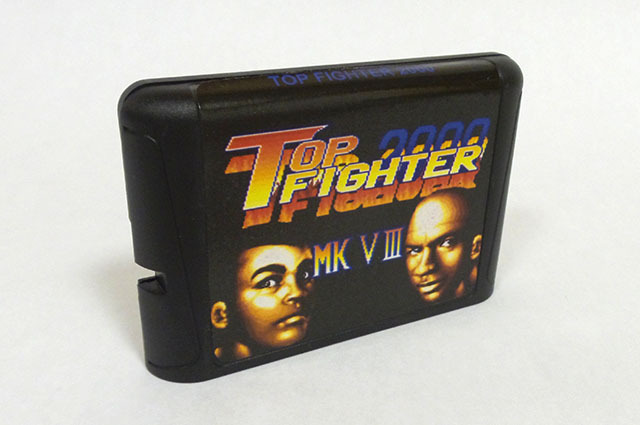 Top Fighter 2000 MK VIII is a Mega Drive game (or the Genesis if you come from a proper Christian nation). Well it certainly came out in the same year as Marvel vs. Capcom 2, at least if the title is to be believed. 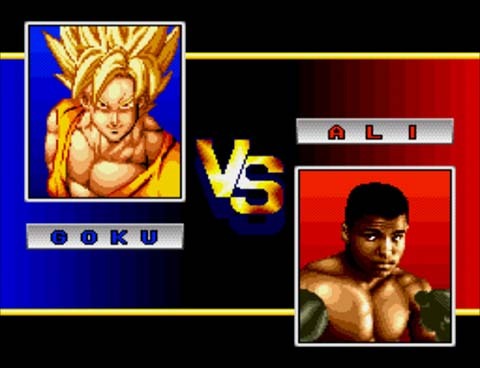 And it does seem to feature a mashup of popular characters to fight with – Micheal Jordan, Muhammad Ali, Goku. I don’t know who picked this roster but I think they were onto something here. Looks like this is the 8th revision of this game. I’m guessing they nerfed Jordan after all those consecutive Bulls championships. 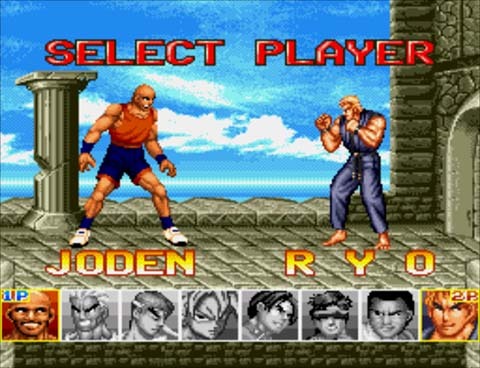 The intro is pretty amazing for a Mega Drive title, featuring a 16-bit Muhammad Ali socking Micheal Jordan right in the face. I wasn’t aware I needed this until now. Unfortunately, here we hit our first major issue. Joden? What happened to Micheal Jordan, star of arguably one of the greatest films of all time, Space Jam? Joden didn’t quite make it so big. He’s still working towards his Bachelor of Arts degree and plays basketball at his local gym on weekends. Sometimes we all have a little Joden in ourselves. It’s alright Joden, you’re still a decent guy. The other characters seem pretty promising. 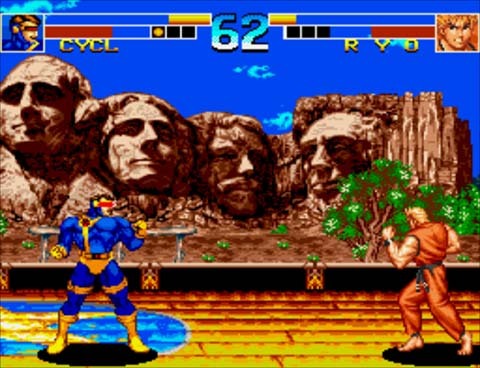 Cyclops is here and as well as other characters from the Street Fighter and The King of Fighters series. I’m not sure how they were able to secure all these licensing deals, but it’s pretty impressive. Attempting to control the game is an awkward experience. My attempts at moves felt stiff at best and unresponsive at worst. Most of the time my character jerkily hopped around the screen, occasionally pausing to flail around limbs hoping for the wild chance of hitting something. In other words, it was about my usual performance with a fighting game. I’m guessing this is one of those games where you need a tournament arcade stick to really take advantage of it. While you might be able to get through some matches against the computer, your best bet at winning would be facing another human being in a versus match. The computer opponents tend to spam specials a lot. A human opponent will offer a much more fair fight since they tend to drop their controller and leave most of the time. They might question you as to why you called them over just to play this game, but you should be able to land a few solid hits at that point to claim victory. Overall, a solid mashup fighting title. A shame the community around the game hasn’t really grown. You will probably want to go for the 9th version of the game though, at least if you are serious about being competitive.